Trent University Prof. Raymond March’s research is being used in the Rosetta space mission. BELLEVILLE – A professor emeritus in Trent University’s chemistry department played a key role in the successful Rosetta space mission to land on and study a comet. 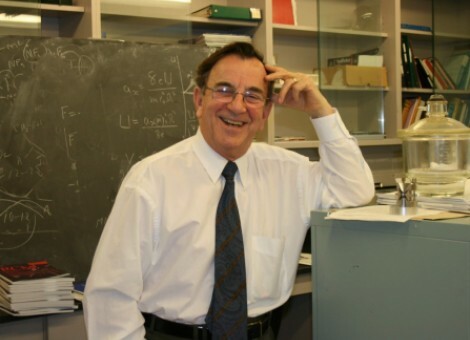 March is well-known for his research in mass spectrometry, a technique to identify the chemical composition of an unknown substance. He was one of the first scientists to build a quadrupole ion trap that confines and controls ions using radio frequency electric fields. The device has become a vital part of Rosetta’s equipment. Rosetta is a robotic space probe built and launched by the European Space Agency to perform a detailed study of comet 67P/Churyumov-Gerasimenko with both an orbiter and a lander module. It was launched on March 2, 2004, and on Wednesday successfully accomplished the first-ever controlled landing on a comet. March has been following the landing of Rosetta. “It was tremendously exciting when they let it go – at 3:30 (a.m. Wednesday) when they said it’s off and they propelled it towards the comet,” he said. March said he was not sure that Rosetta would successfully land on the comet. “I was prepared for disaster … The probability of getting that to land and stay on the comet’s surface upright and to do these experiments was in my mind very, very small,” he said. Rosetta’s mission is to collect samples from 67P to expand our understanding of the universe and the birth of our planet.